Home Have something to share? The Corbett Oregon web site went online in 2002 and is a community service project. The site is meant to provide an online hub for local links, resources, information and community notices for our community. This is a free tool for anyone who wishes to share information with their community online. The Community Forum is meant to provide a non-Facebook place to archive and find information online. 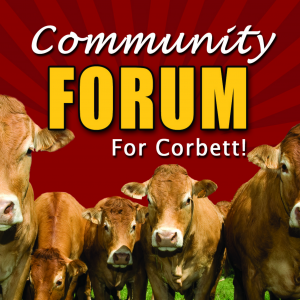 This information (on the forum) can be indexed by search engines and allow people to find the information more easily vs. only those registered on Facebook and/or that are following the Corbett Oregon Facebook page. It’s easy to register. Pick your username and password on the forum, confirm your registration and then you can post something to the calendar or any other board.